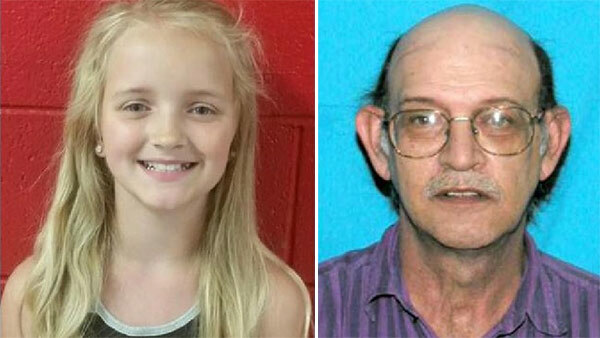 ROGERSVILLE, TN -- A 9-year-old girl abducted more than a week ago when her uncle signed her out of school was found safe, authorities said Thursday. Carlie Marie Trent was found in Hawkins County, the same rural part of East Tennessee where she disappeared, Tennessee Bureau of Investigation spokeswoman Susan Niland said in an email. Her uncle, Gary Simpson, is in custody, Niland said. The bureau plans a news conference later Thursday to discuss Carlie's recovery, Niland said.